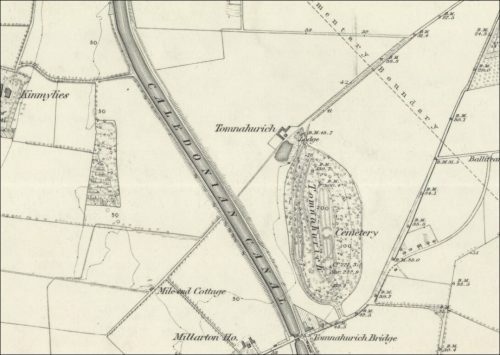 Below – 1868 – Map showing Tomnahurich Farm. 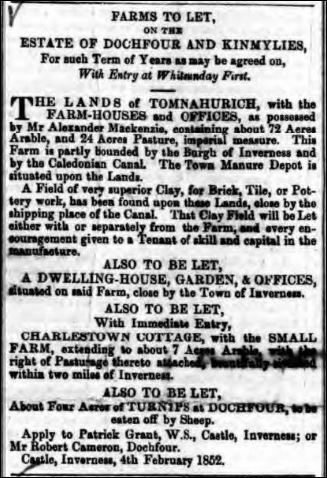 It is thought the clay field mentioned in the 1852 article above will be situated somewhere between the Caledonian Canal and the Parlimentary Boundary marker. 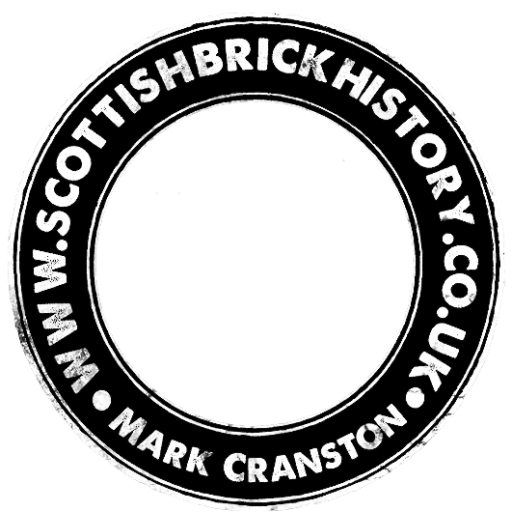 Next Article Phippsfield Tile and Brick Works, Black Isle, Near Tain.